A loan of $750 helped a member to buy fabric, ribbon, thread, elastic, needles and sewing machine oil. 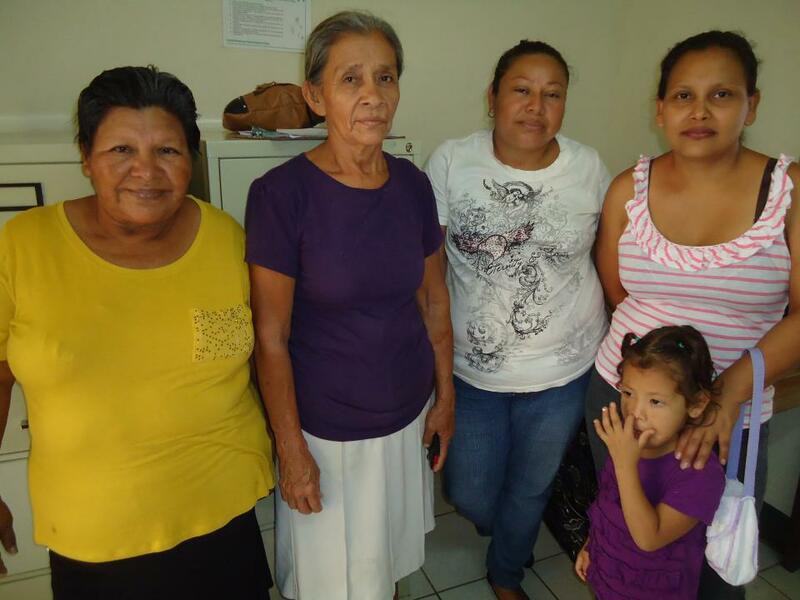 The supportive group Jehová es Mi Roca, is going through their sixth cycle of loans. They want to continue growing their businesses and help further their families. The coordinator, Charlotte is 37 years old. She has a partner and is the mother of 5 children, ages 16, 12, 10, 4 and 1. They are the engine that runs her life. She owns a sewing business specializing in children's typical dresses. She will use this loan to buy fabric, ribbon, thread, elastic, needles and sewing machine oil. Her goal is to buy more sewing machines with her profits to grow her small business. The other members are Yahaira del Carmen, 35; she sells home-made candy and children's clothes. She will use this loan to buy more dresses to have a large variety to offer to her custimers. Eulalia, 58, a living example of perseverance, sells sweets, fritters, grapefruit juice and home-made ice cream. And, María Elena, 58, who sells local bananas. ¨Jehová es mi roca¨, este grupo solidario, por 6to. Ciclo préstamo seguir creciendo con sus negocios y sacar adelantes a sus familias. Su coordinadora Charlotte de 37 años, acompañada y madre de 5 hijos, de edades de 16, 12, 10,4 y 1 años, son su motor de vida. Tiene su negocio propio de costura en el área de vestidos típico de niños, invertirá su crédito en la compra de telas, cintas, hilos, elásticos, aguja y aceite para las maquinas. Su meta es con los ingresos obtenidos comprar máquinas y ver crecer su microempresa. Las demás miembros son Yahaira del Carmen de 35 años, se dedica a la venta de cajetas y ropa de niños, invertirá su crédito en la compra de vestidos así ofrecer variedad de estilos a su clientela. Eulalia de 58 años ejemplo de superación dedicada a la venta de dulces, comprara churros, toronja, espumia. María Elena de 58 años dedicada a la venta de platanitos. Nicaragua is experiencing a political crisis. Protests have resulted in the loss of life and a partial economic paralyzation of the country. Kiva is committed to supporting our field partners and borrowers during this difficult time. However, should you chose to lend to a borrower in Nicaragua, please be aware that the political unrest poses extra risk for both borrowers and Kiva field partners. Delinquency rates could increase while the crisis is ongoing. ADIM is a small organization in Nicaragua with a strong social focus. ADIM provides loans to women in Nicaragua, but in addition also provides an array of non-financial services such as business training, women's empowerment training and much more. In a market with many microfinance institutions, ADIM stands out as one very focused on the holistic development of women and the provision of responsible financial services. For a small organization like ADIM, Kiva's funds are critical to helping them grow and reach more borrowers, and continue to offer the critical additional services they provide.